Messy Essay is a full-service platform that combines personalized writing services with data-driven insights and outcomes. Their mission: make effective writing accessible to all students. To do so, they needed a holistic brand identity able to meaningfully engage students, parents and teachers. Writing a college admission essay can be stressful – more so if you lack the resources for writing support. American students looking to gain a competitive edge are paying roughly $4,000 annually. For those unable to pay, the average student to counselor ratio is almost 500 to one. Messy Essay wants to change this. Through a combination of artificial intelligence technologies and on-demand educators, the platform aims to empower all students to craft meaningful college essays. 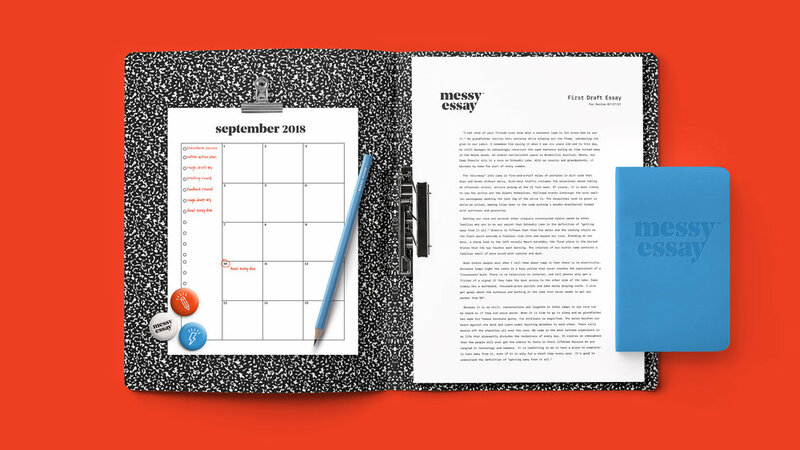 The Messy Essay creators collaborated with Enlisted on a brand identity, website and wordmark to articulate their mission to investors and attract students, parents, and teachers to the platform. The brand design needed to strike a delicate balance—appealing and credible to students, and valuable to parents. It also needed to feel trustworthy to teachers and compel them to sign up as educators for the platform. Together, Enlisted and Messy Essay honed in on a visual identity to position the brand that is both scholastic and modern. The wordmark is a nod to the classic typewriter, while bold colors and playful iconography and illustrations hint at the robust AI-driven technology powering the platform—a key difference between Messy Essay and other college tutoring programs. 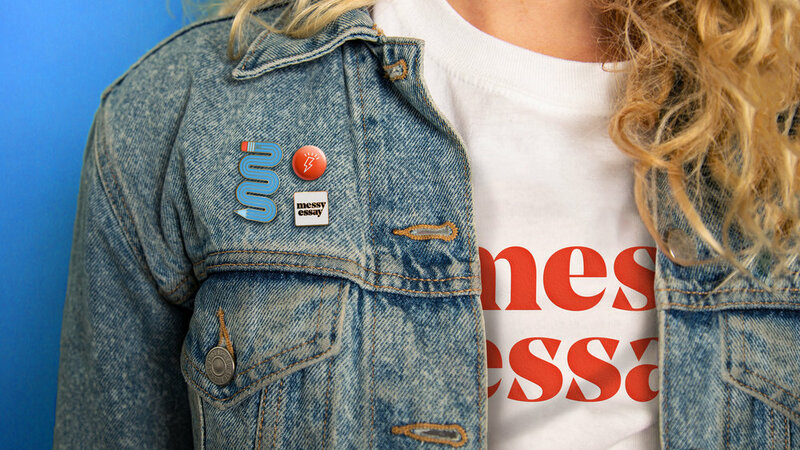 Within the first month since launching the new brand identity, Messy Essay has seen powerful results, including a nearly 50% increase in registrations, over 75% increase in unique website visitors, and a 115% increase in website page views. Enlisted is thrilled to continue supporting Messy Essay in their growth and brand mission to make writing support accessible to all students.